Free up some room and design your living space with the Sonax Wall Mount Collection. 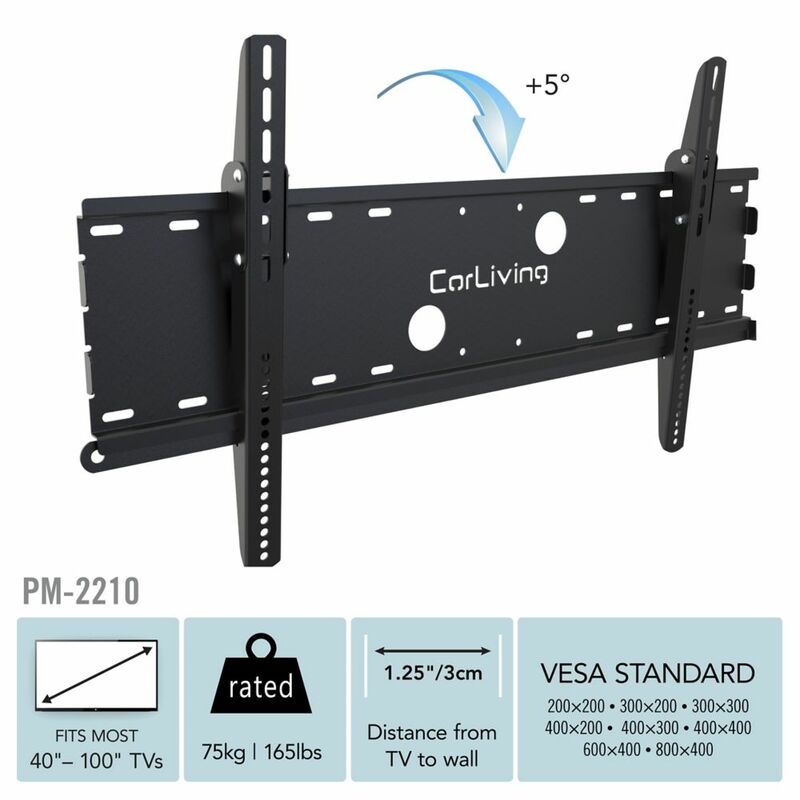 The PM-2210 is a Lean Wall Mount that accommodates most flat panel TVs from 32" to 90". Tilt option with two different positions 0 or 5 to find the perfect angle to enjoy your space. The heavy gauge metal construction supports up to 165 lbs. Bring home this Wall Mount and consider complimenting it with contemporary furniture by Sonax. 401Ls innovative front-loading design lets you easily mount TVs and monitors in small, tight spaces like RVs, trucks, campers, boats, condos, dorm rooms, and more. PM-2210 TV Wall Mount for 32" - 90" TVs Free up some room and design your living space with the Sonax Wall Mount Collection. The PM-2210 is a Lean Wall Mount that accommodates most flat panel TVs from 32" to 90". Tilt option with two different positions 0 or 5 to find the perfect angle to enjoy your space. The heavy gauge metal construction supports up to 165 lbs. Bring home this Wall Mount and consider complimenting it with contemporary furniture by Sonax.